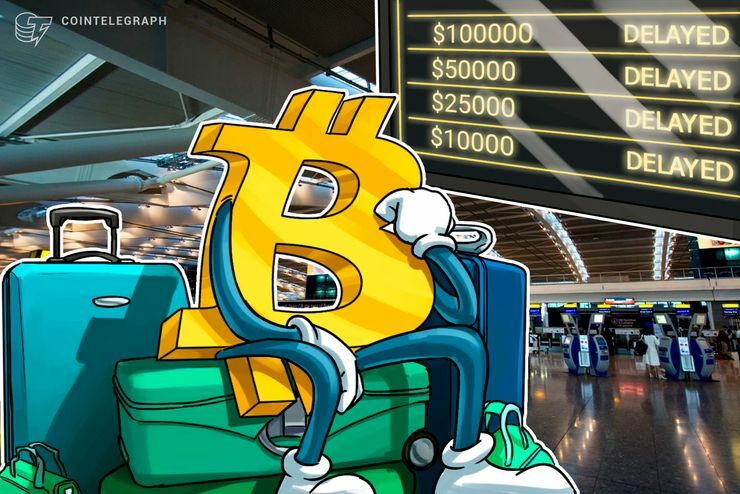 August 5: After yesterday’s market nosedive, Bitcoin ( BTC) is up just slightly, hovering around the $7,000 mark. All major altcoins are however showing marked signs of recovery, up between one and seven percent, as data from Coin360 shows. Bitcoin ( BTC) is trading around $7,040 to press time, holding ground on the day after its rapid tumble yesterday back to a price point not seen since July 17. The leading cryptocurrency could now be eyeing $6,800 as a short-term support, after several faltering pushes above the $7,000 threshold earlier today failed to hold. Bitcoin’s weekly losses are now at around 14.05 percent, with monthly gains pinched to just under 8 percent. Ethereum ( ETH) is seeing slightly more significant daily gains, up 1-2 percent to trade around $412 at press time. The leading altcoin has nonetheless sustained a gradual decline to lose over $50 in value on its weekly chart, posting around a 11.35 percent loss. On the month, Ethereum is down 11.66 percent. As Cointelegraph reported today, Starbucks, one the enterprises partnering with ICE to build the digital asset ecosystem, clarified that it will not be accepting Bitcoin ( BTC) or other cryptocurrencies as payment, following misleading reports from mainstream media.